Starlight ($0.13) Price History from major stores - Portal - MTGPrice.com Values for Ebay, Amazon and hobby stores! 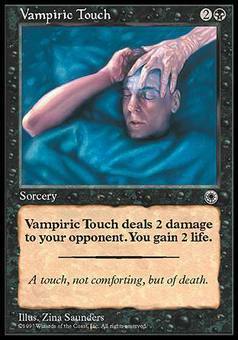 Card Text: You gain 3 life for each black creature target opponent controls. 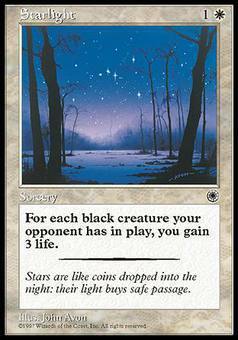 Flavor Text: Stars are like coins dropped into the night: their light buys safe passage.